A Killer Ball sounds good and how cool would a hidden room be? Especially a library... I saw one somewhere Buzzfeed or who knows where and they had a pic of a hidden room like that that someone built. Awesome. These all sound like great spring reads! I'm not picky. I would settle for a cabinet or something as long as it's secret! Yes, we make those lists and then we make other lists...LOL! I have QUIET NEIGHBORS on my 'list' and also the Honeychurch Hall book, along with the first 2 books in that series. Thornyhold - pretty sure I read it soon after it was published and can remember exactly zero about it. I'll wait and see how you like it. If I can't remember it, I'm afraid that I wasn't much impressed and I do have others of her books that I love so very much. I'm definitely curious about Thornyhold. Stewart's books were always hit or miss so I'm curious to see what I think of her now. I'm so excited about Quiet Neighbors! It looks great. The cover to Thumbledown Manor is so ethereal and idyllic! I love it :) Great list! Thanks! I'm so excited about Tumbledown Manor. I'm having to make myself wait to read it till closer to the release date. Me Before You is just so good. I hope you love it! 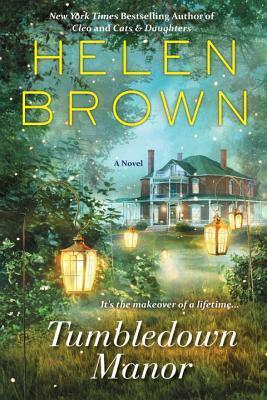 I'm totally intrigued by just the title Tumbledown Manor - I have to look this one up! I'm so excited about both! Jojo Moyes is an author I've really been wanting to read and I'm definitely excited about Tumble Down Manor! The preview is killing me! I'm stocking up on tissues too! I'll take a secret staircase! I just want a secret something! I'm going to try to read the book first but mostly because I'm going to have to wait forever to see the movie as I'm going to have to wait until it comes out on Netflix or something. I can't watch in theaters! All of those look so good! I decided to wait a while before trying Me Before You, because I cry too easily these days. I think I'm past the worst of the grieving (for my aunt and uncle) but I need some time before reading something like that. But you're right, the movie preview looks wonderful. Just a heads-up -- there's almost no way to read The Language of Bees without wanting to go straight into The God of the Hive, because it's really one rather long story broken into two books. I mean, there's some resolution in the first one, but not enough. (I had to wait a whole year. You, lucky woman, can read them back-to-back.) But I thought they were wonderful. Oh, and I love re-reading the Wallflowers books -- have fun! I have God of Hive so I need to dig that up before I start Language of Bees so I can dive right in! I've been really wanting to reread the Wallflowers so I decided to make it happen! I really want to read a Mary Stewart book again. 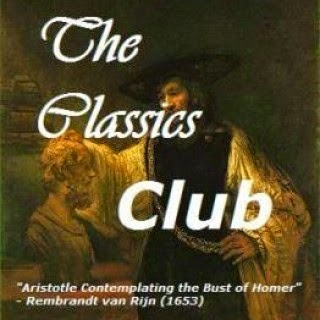 The one I remember from my youth was a story that takes place in Greece and has dolphins in the story. I'll have too look for that one! I'm curious to see what I think of her books as an adult versus a college student. Great choices! I do have a Mary Stewart-- The Moonspinnners-- on my kindle now for a reread (well, read it so long ago it'll count as a first read because I don't think I remember the plot). I also have Quiet Neighbors on my Spring wishlist, and should've added Tumbledown Manor because I checked it out yesterday on GR and sounded so good to me! You always have nice choices and while I don't read all the same titles as you I appreciate reading about what you are interested in. I vaguely remember The Moonspinners so I think it would basically be a new read for me too. Thanks! I like seeing what you read too. It encourages me to try books that are a little outside of my normal. Your list sounds like it's filled with gems. 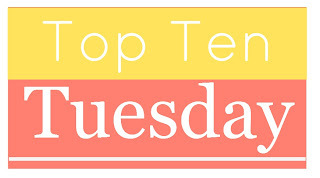 I read Me Before You and really liked it, and I find many of the others very tempting. I'm so excited about Me Before You! I'm going to be stocking up on tissues though. I didn't think that I would be interested in Me Before You, but everyone has been talking about it and I just watched the trailer for the movie and it has me really curious about the book. I loved Me Before You and recently read the follow-up After You - which I really enjoyed even though I was a bit afraid to read it. I mean, could it be nearly as good as MBY? I was quite pleased :) I'm really curious about the book about how Gatsby came about. I used to read it every few years - just something about it that made me *want* to read it. Keep the tissues handy for Me Before You! I think you'll appreciate So We Read On even more with Gatsby fresh in your mind. I love your list and of course you know I adored Me Before You. The Secret Sister is on my list too!! 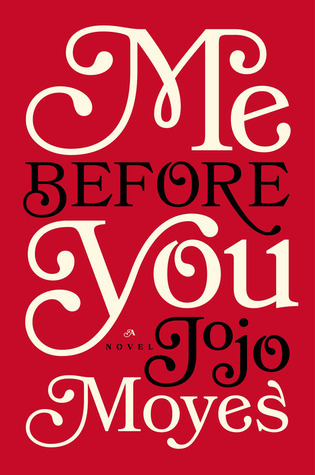 I really should read Me Before You, too! They all sound fab, enjoy them all! Me Before You is also on my Spring TBR. I'm also not a fan of crying when reading (or anytime for that matter) and so have been putting it off but the trailer looks so good! I really enjoy these TBR lists too. :-) You have a few on your list I want to read. McPherson and Dennison's books are among them. I rarely follow through with my reading plans but I agree it is fun to make plans. I love Kleypas and I may re-read some of her books soon myself. I have Quiet Neighbors and am looking forward to it. I hope that you can get to at least most of these. Enjoy! Me Before You is definitely an ugly cry read, even for people like me who never cry reading books. But seriously not in a way that you feel manipulated. I had just grown so attached to the characters and there are just no easy answers to make everything okay for everyone.